At the beginning of the year I unexpectedly caught a fun cabaret Scrapbook Live, showcasing the work of musical theatre writers Robert Archibald and Verity Quade, which I enjoyed considerably even though I hadn’t heard the CD from which much of the material was taken: Scrapbook – The Songs of Robert Archibald and Verity Quade. Having now downloaded it, I gave it a listen over the last week and in some ways, it is a bit of a double-edged sword having seen the live gig. It gave me that nice sense of recognition with some of the more memorable songs which made it a fascinating listen, but it also reminded me of the energy that accompanied the renditions of the songs and the live accompaniment. I have to say I wasn’t a fan of much of the orchestrations on the CD, it sounds a little bit too processed, too artificial, keyboards instead of pianos but then that’s just what I prefer. But Archibald and Quade have assembled quite the team of performers to sing their songs and their quality ensures that this collection is never less than listenable. I am often roundly mocked for being predictable in my listening habits but I really can never get enough of elegant female balladry and there’s no exception here: Louise Dearman’s beautiful ‘Sometimes’, Anna Francolini’s tender ‘My Daddy’s Girl’, Annalene Beechey’s ‘Sorry’, there’s an embarrassment of riches! The men get in on the action too with Jon Lee and Stuart Matthew Price both impressing with ‘Something About Her’ and ‘Falling For You’ respectively. It’s with the more upbeat songs that I wasn’t so keen, the arrangements jarring with me a bit too much. 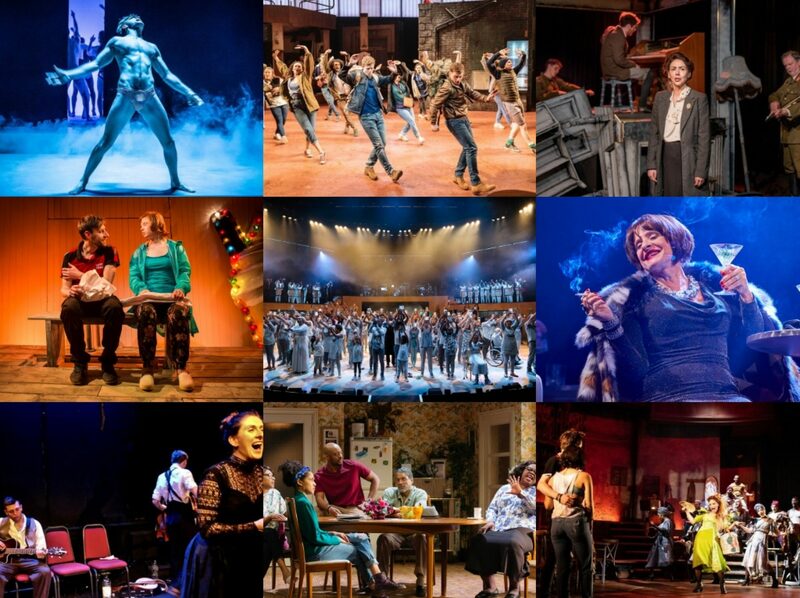 Rosemary Ashe’s comedy number (an apparent prerequisite for these albums – see Stiles + Drewe’s ‘Diva’, Michael Bruce’s ‘The Musical Theatre Song’…) ‘The Singer’s Lament’ lacks the connection that seeing it live brought, though it is well-performed. Likewise, the duet ‘Clumsy Way To Fall In Love’ didn’t quite have the same chemistry that made it sparkle onstage. 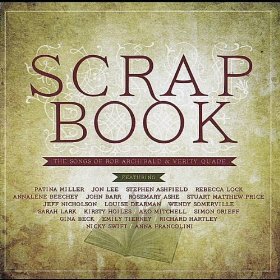 Scrapbook is an interesting collection of songs, with some great numbers – Patina Miller’s ‘Too Tired’ is probably the highlight, her expressive soulfulness stretching out gorgeously over a fun backing – and also the over-riding sense that Archibald and Quade really do have a knack of creating interesting pieces of musical theatre. It would be good to know of any of their shows, Thirty-something in particular, might be heading onto a stage any time soon to know for sure.